Muslim Women who wear hijab have various style to wear the hijab especially during the special occasion and hari raya. The Islamic fashion industry is skyrocketing every season and hijab styles have been evolving throughout the years. Women are seen to be flaunting various hijab style with their own signature look. However, there are a few hijab looks where women can pull off to any occasion as well as Raya looking spectacular. Women can create these hijab styles by looking through hijab tutorial videos on Youtube. Do you love the simplicity yet elegance of the Turkish hijab? Tie your hair up in a huge bun and wear a simple hijab to enhance your appearance. The high bun inside your hijab gives that nice sophisticated look which you can style to dinner parties and even to work. 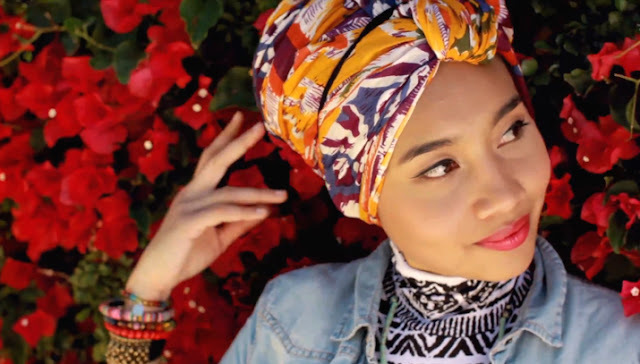 The turban is definitely a modern hijab style where cosmopolitan muslimah ladies are seen flaunting around town. Turban hijabs are suitable for the ladies who want to expose an extra glamorous element into their outfits. Besides that, the turban hijab allows women to play around by accessorizing the neck part with statement necklaces. Show off this look to dinners, at the office or on a special occasion. So which one is your choice for your hari Raya? Got the idea or maybe you want to add more idea? Do leave me a comment alright!